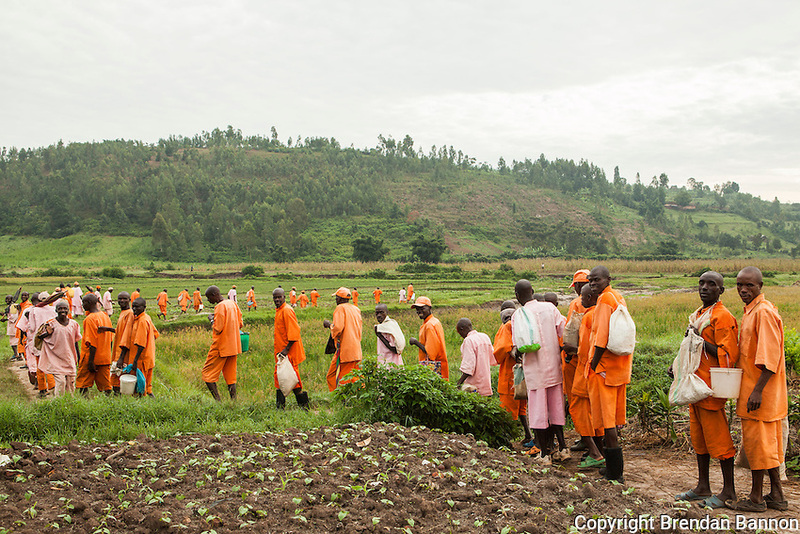 "This land is now the Butare Prison farm. My family had a farm on this land from 1969- 1994. We grew beans and potatoes. I could make money and eat. But now I have nothing. I had ten children but all six boys died. They died one per year. We think they were poisoned. My husband has mental problems and I am on the way to the hospital for my diabetes." -Goodelive Nyairansengimana woman on the road. Butare, Rwanda. Photo by Brendan Bannon. Feb 28, 2014.